¡Bienvenidas! – Welcome to Power on Heels Network©! A BILINGUAL community designed for POWERFUL WOMEN – Mujeres Poderosas to Pass On Their POWER! The mission of the POWER On Heels Network© is to encourage the professional and leadership development of our members and to highlight the POWER each woman possesses. We support entrepreneurship, progressive leadership, creative success strategies and the efforts of POWERFUL WOMEN – MUJERES PODEROSAS. Most importantly, we engage women in meaningful dialogue on topics that are impacting our communities, lives and professional growth. 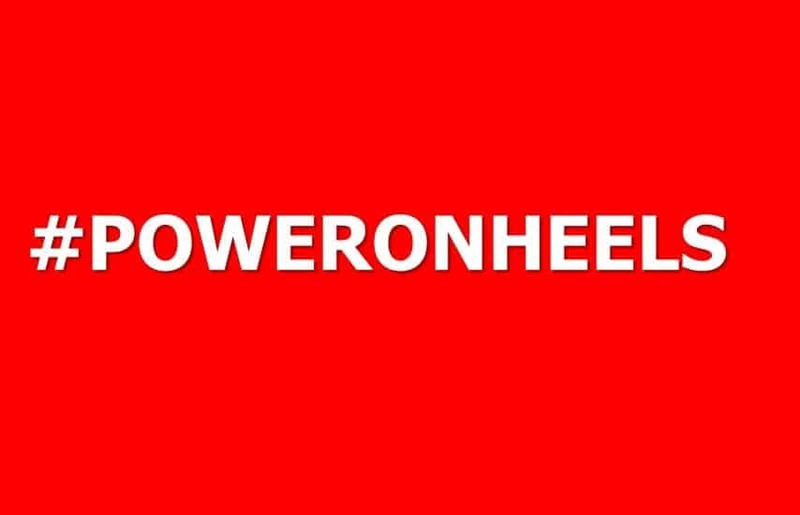 The POWER On Heels Network© is an Online community of POWERFUL Women ~ Mujeres Poderosas who support each other through sincere exchanges in online forums, networking events and our annual conference. POWER On Heels Network© began in 2016 and in a very short amount of time, has impacted hundreds of businesses, organizations and the lives of thousands of WOMEN-MUJERES all over the country. Join us in HOUSTON, TX for the 2nd Annual POWER ON HEELS CONVOS Conference and Award Luncheon on March 2nd & 3rd, 2018. This amazing award winning journalist conducted the interviews from behind the camera of “The Women’s List”. Sandra will present a POWERFUL speech afterward, sharing her insights on the POWER of Latina LEADERSHIP today. 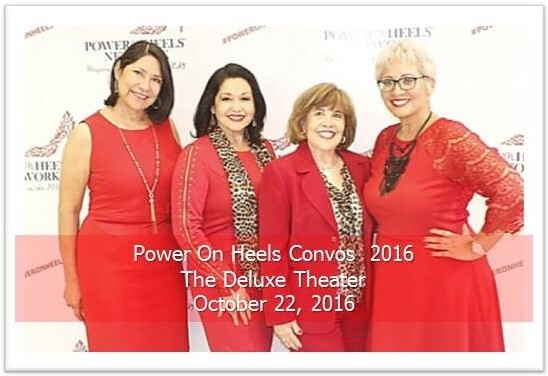 POWER ON HEELS CONVOS – Be part of the conversation! This event will be centered around building intimate dialogue around five(5) key core topics. Each conversation will be guided by one of our Legacy Mentors in unique POWER Circles. They will hear firsthand accounts of their accomplishments and the challenges faced along the way. Throughout the day, we’ll identify gaps we still face in our careers and communities. Most importantly, these intimate conversations will put forth solutions on how we can continue to lead POWERFULLY! Making career investments that are align with your ultimate career ambitions. Developing a strategic plan that inspires growth even in the most challenging situations and environment. Gaining financial competencies that will enrich your career potentials and secure your life dreams for success. Creating a place where you feels there is a healthy balance in all that they do. Placing intent on continuous growth and development motivates you to take control of your business and career. We will honor and recognize the accomplishments of Yolanda Black Navarro, whose mission to empower Houston’s Hispanic community was one of her true legacies by awarding an individual who currently continues on the legacy of this incredible individual in our community who continues to “Pass on the Power” on Heels! GET YOUR TICKETS BEFORE FEBRUARY 1ST, 2018 AND SAVE! *A portion of every registration will be donated to Shoes for Kids, a 501-c3, a non-profit that provides brand new shoes to economically disadvantaged children throughout Houston. POWER Circle – These are POWERFUL gatherings of POWERFUL Mujeres in our community. Reach out and we can plan one in your city. 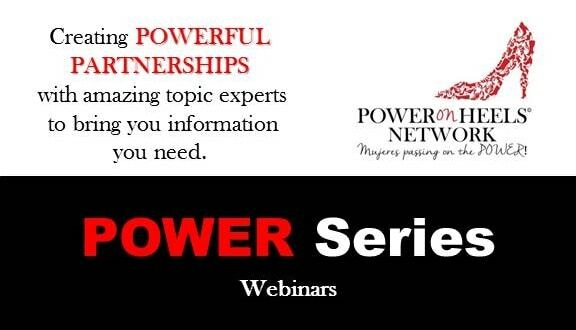 POWER Series – Informational Webinar series with presenters that are subject matter experts on a variety of topics such as SEO, website development, marketing, leadership, health, finance, personal growth and much more.